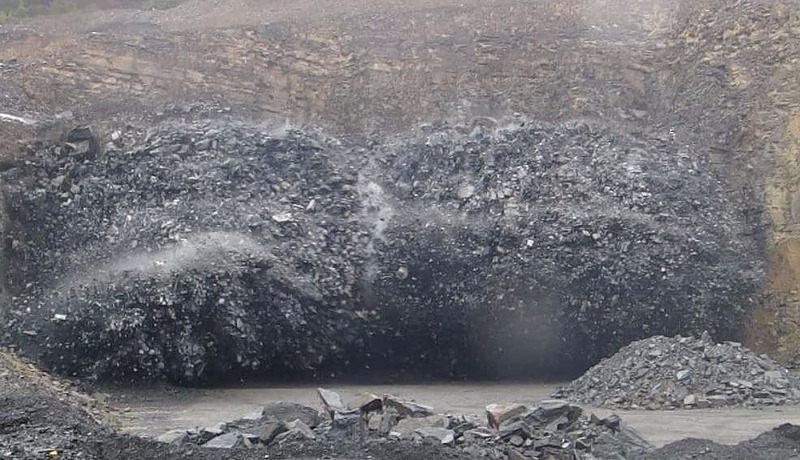 To ensure the efficient use of explosives within the blasting process, and comply with the Quarry Regulations, Irish Industrial Explosives provide a quarry face profiling survey service to its customers. Using the latest technology, our Technical Services Engineers can ensure that each blast set out for drilling operations can produce the best results required for each individual customer’s needs. Whether the shot needs to be of a particular volume or certain fragmentation, our Technical Services Engineers possess the necessary skills, experience and equipment to deal with the task in hand. Any shot specified by each individual quarry or site will be set out using arbitrary reference points on the quarry top to indicate drill hole positions. These points will be located with reference points and surveyed using our laser surveying equipment. The results of the survey are then downloaded into our current computer packages for analysis. Using our Technical Services Engineers skills and experience, a decision is made from the data analysis, the optimum drilling specification for your site’s needs as well as to ensure a safe blast in accordance to the current quarry regulations. A post-drill quarry face profiling service ensures that the drilling has been carried out to the designed specification. This will include a full borehole analysis (the measuring of hole depths, angles and azimuths), which can then be integrated within the quarry face profile to give accurate data for the blast design process. The customer is then prepared for our Explosives Supervision and Shotfiring services. The Face Profiling service is included within the scope of the Irish Industrial Explosives ISO 9001 Quality Management System. As such, customers can be assured that personnel have the appropriate skills and experience to deliver this service and that the equipment used by them is properly maintained and calibrated to provide the necessary confidence.